Music classroom sound volumes can grow to very high levels during daily lessons, ensemble rehearsals, sporting events, and especially when in the presence of brass or percussion instruments. Although it may seem strange to some, the use of earplugs during these activities is growing in acceptance. Many people are familiar with the traditional earplug inserts that can be purchased over the counter at a variety of places. These work well for reducing the intensity of the sounds that get to the eardrum, and are relatively inexpensive. However, the obvious downside for anyone who has used them is that they also distort the frequencies of the sound that reaches the eardrum, making them less than ideal for most music-listening situations. 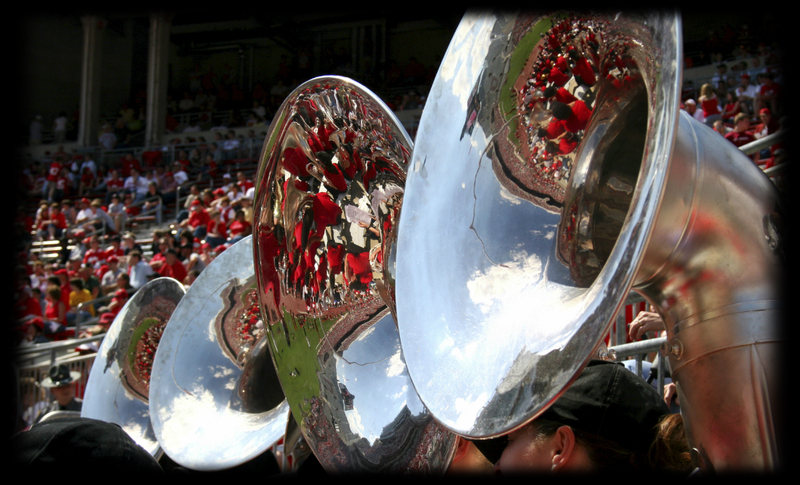 Additionally, using traditional earplugs means that instructors cannot hear normal conversations during the in-between times when students are not playing their instruments. Having to put earplugs in to protect hearing and then take them out to hear normal conversation can actually dissuade teachers from using earplugs at all. 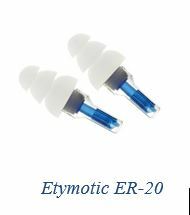 To address this problem, some companies now sell special earplug inserts that block the damaging high intensity sounds to safe levels, but without overdoing it, allowing all but the softest sounds to be heard easily. This type of earplug does not distort the tone of the sound being played. Although more expensive than traditional inserts, they are still very affordable and the benefits speak for themselves. 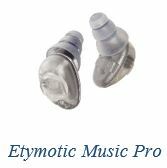 Musician style earplugs such as Etymotic’s ER-20 sell for around $13 a pair, and on the higher end of the spectrum there is the Etymotic’s Music Pro ($299) with adaptive noise-reduction designed for musicians who want to hear naturally, need protection when hearing is at risk, and want to avoid the inconvenience of removing earplugs to hear.